Sakura is the most awaited flower in Japan. 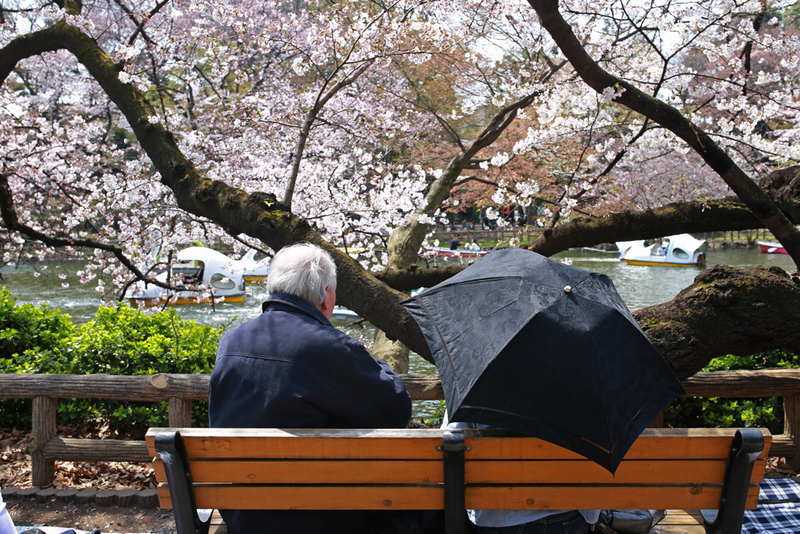 It’s not written but many believe sakura is the sign that spring finally sprung. It’s the time for everyone to go out to view sakura. Sakura viewing is known as hanami in Japanese. 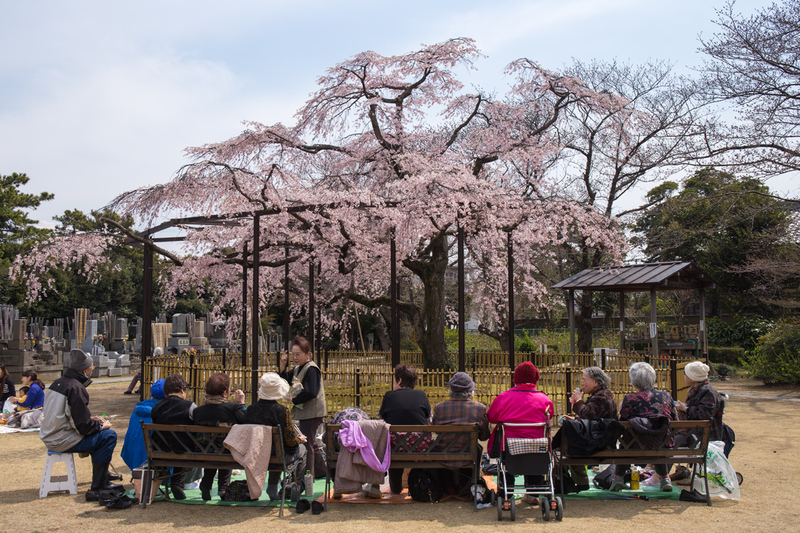 Hanami is done by almost everyone from school children to elderly will go out and spend time for hanami. 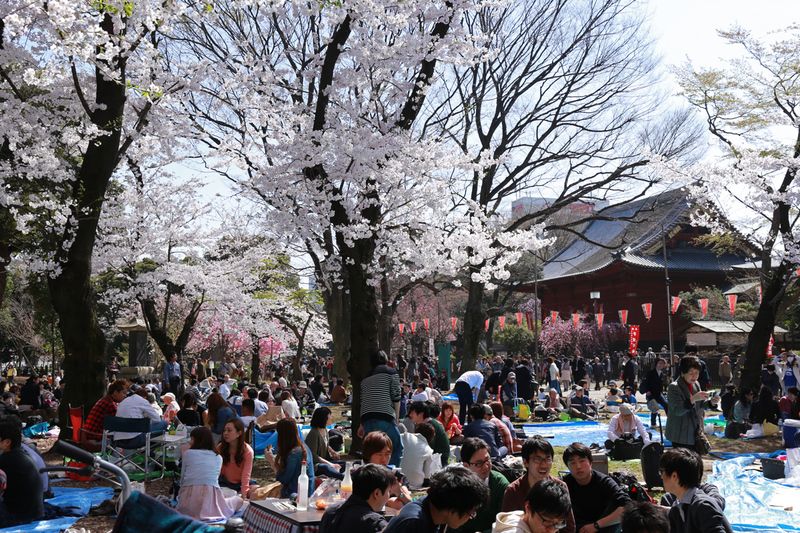 If you happen to be in Japan during sakura cherry blossom season, try to spend some times for hanami. 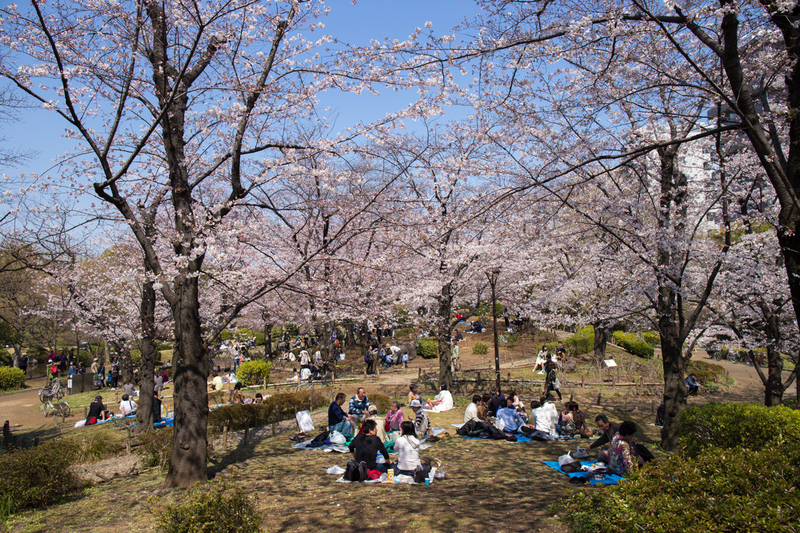 Hanami usually or ideally is done in the park. There are some benches but since so many people coming to the park, it is best to bring your own mat. It’s not difficult to get mat or mattress while in Japan. In Tokyo, you can easily purchase the mat from 100 yen or 300 yen stores. A bigger size mat usually is more expensive and rather difficult to find. So if you see blue plastic mat, get it because they are sold out quickly during sakura season. Bento is a mealbox comes at different price, size and taste. What makes bento the perfect fit for hanami is they are easy to get, cheap and easy to dispose the box once you finish eating. Almost every convenience store in Japan (Seven Eleven, Lawson, Family Mart, etc.,) is selling bento. During sakura season, however, bento at convenience store are usually sold out before even 3pm. They are cheap yet tasty. So, get ready to purchase your bento early or get them at the stores located at different place from the hanami spot. More sophisticated bento with hanami theme can be purchased at luxury supermarket like Isetan Shinjuku. It’s still cold out there especially if you are coming from tropical country where it is warm entire year. Sometimes strong wind will make the temperature feels lower than it actual is. Be sure to wear proper attires and get heat adhesive. Heat adhesive can be purchased from drugs sores. It’s easy to use too. Simple fix it on you back or foot beds. What could be better than spending time with friends, family or colleagues. 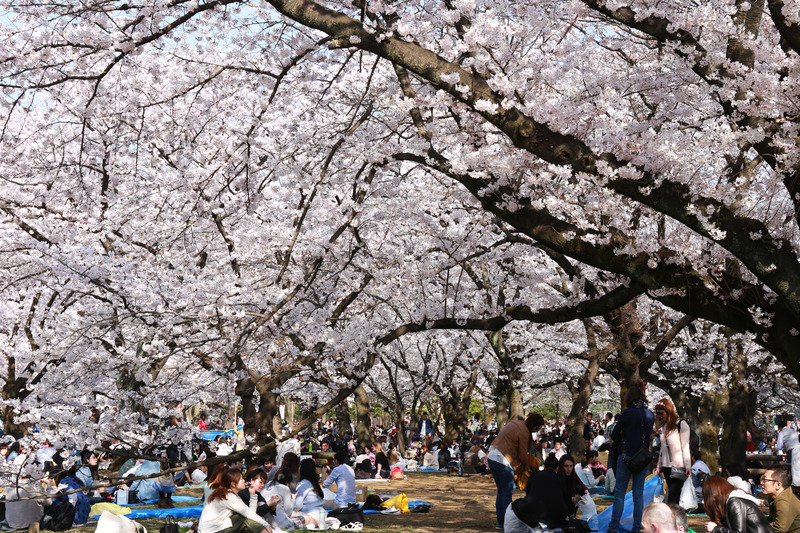 There’s a saying the more the merrier it also goes with hanami. What is needed the most to clean up after eating is wet tissue especially in sakura season when there is always a long queue at any public toilet. 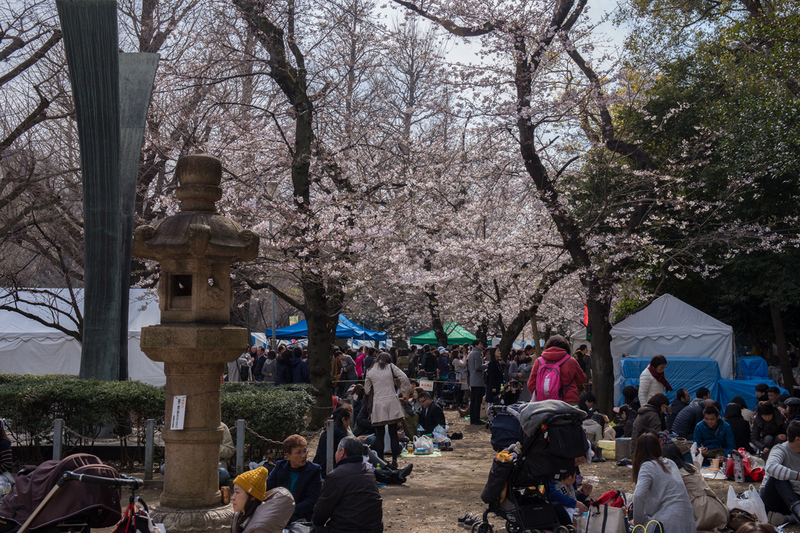 This is number one principle for hanami: no litter. There are always garbage stations scattered around the hanami spot. However, in case you cannot find one bring the garbage to where you stay, never leave it on the site.